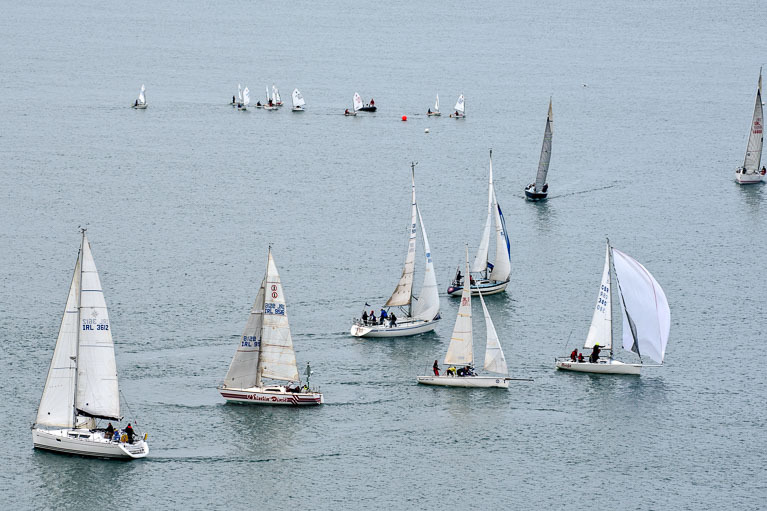 The second race of the O’Leary Insurance Group Winter League took place today. The wind was very light from a west southwest direction and if one were unfortunate enough to get caught, it was blank in patches. The flooding tide was strong and this did not help the situation. 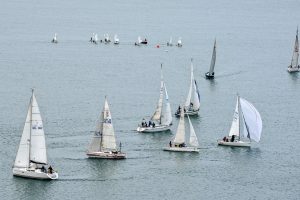 Following a short postponement R’O’s Clem and Wendy Mc Elligott set course seventy from Adrielle anchored off Corkbeg consisting of a beat to cage a run to thirteen passing seven to port on the way,a reach to nine and back to finish at Adrielle now located at cage. From a vantage point at Camden Fort Meagher it was interesting to listen to the spectators commenting on the various routes being followed as the fleet endeavored to reach the windward mark ! Racing continues next Sunday.